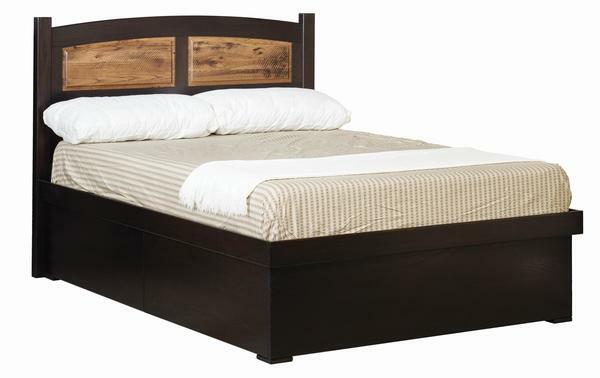 Increase the storage in your bedroom with our Amish Madison Platform Lift Storage Bed with Raised Panel Headboard. This Amish storage bed lifts up to ample storage space beneath the platform. Keep your winter clothes, extra sheets and pillows, suitcases and other bedroom items underneath the bed. Our Amish craftsman can make this bed in a twin, full, queen, or king size and can be crafted in one of our 5 different hardwoods. Please call or email us today if you have any questions or concerns. Our toll free number is 866-272-6773 and our email address is Questions@DutchCrafters.com. 62 1/2" x 83" x 18"